The Soccerfest event, scheduled for Tuesday, July 2, 2019, creates an atmosphere for Good Sportsmanship, Camaraderie and Stewardship for the Games and is a great kick-off event prior to the start of the Games. Soccerfest is a fundamental and integral part of the spirit and experience of the Games. Every player is enriched by interacting with players from other teams across the country; making new friends thereby adding to the excitement for everyone. All players and coaches are encouraged to participate in Soccerfest. Players born between January 01, 2000 and December 31, 2010, are eligible to participate in the Soccerfest. National Games teams (rostered players and coaches) are automatically registered for Soccerfest. MY18 registered AYSO and/or non-AYSO players who are not playing in the Games, but would like to participate, must register to play. Complete Soccerfest information will be provided to National Games coaches prior to their arrival. 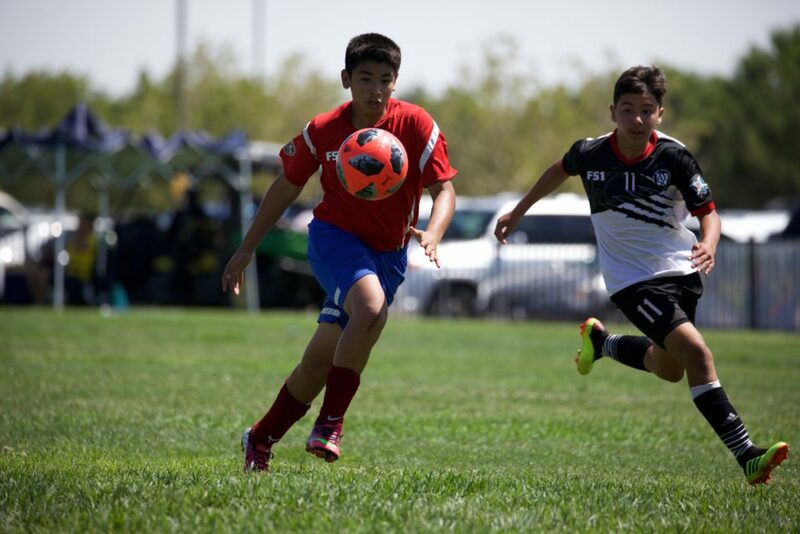 For walk-on registrations, once an AYSO Soccerfest Registration form (and Player Participation Release Form, if needed) is submitted and approved, Soccerfest information will then be sent to the parent/guardian of those players. National Games teams will be awarded six (6) points in the pool play standings if the minimum number of players and one coach from the official team roster participate in each of the Soccerfest games scheduled. Details are in the AYSO National Games 2019 Governing Rules. In order to keep the games on time, air horns will be used to signal the start of and end of games. Referees will end the first half and resume the second half in the traditional manner. Soccerfest Games are two twenty minute halves with a five-minute half-time break in between. Referees will stop play approximately mid-way through each half to allow coaches to substitute players so every player plays a minimum of one-half of each game. Equal playing time for each player is strongly encouraged. Between games, coaches and players are encouraged to keep the Soccerfest team together in order for players to get to know the other players from other Regions. Once both games are completed, players should to return to their National Games coach or their families. Highly encourage teams or families to predetermine meeting areas in advance of the start of Soccerfest. Any challenge to the Soccerfest points awarded or not awarded must be made prior to the end of the last game on the second day of pool play competition. Any challenge received after the deadline, no matter the validity of the claim, will not be considered.